They make these coins sound very valuable, however the coin in average condition is worth far less than the coin certified in Mint condition. 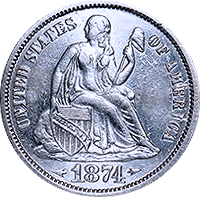 Estimated 1874 CC Seated Liberty Dime value at an average of $3192, one in certified mint state (MS+) could be worth $115,000. 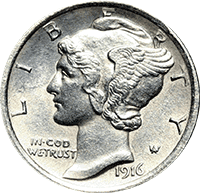 Estimated 1916 D Mercury Dime value at an average of $949, one in certified mint state (MS+) could be worth $16,400. 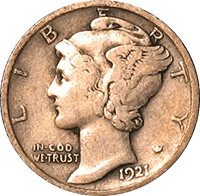 Estimated the 1926 D Mercury Dime value at an average of $3, one in certified mint state (MS+) could be worth $15,000. 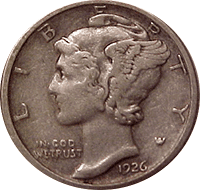 Estimated the 1921 D Mercury Dime value at an average of $81, one in certified mint state (MS+) could be worth $3,900.